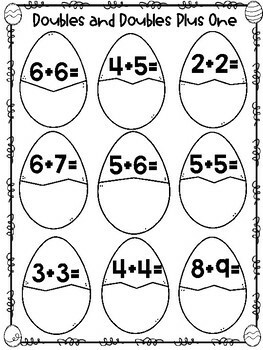 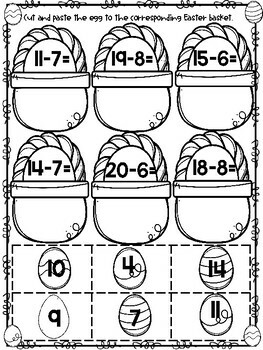 These are the perfect Easter addition and subtraction worksheets for you students. 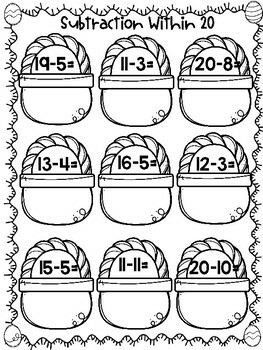 This is a set of 13 worksheets, SPANISH AND ENGLISH VERSIONS INCLUDED. 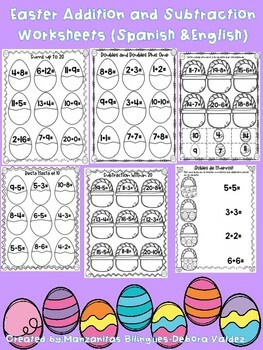 When your students are done they can have fun coloring all the worksheets.